It is the first instrument in the Taurus family that does not have foot pedals. 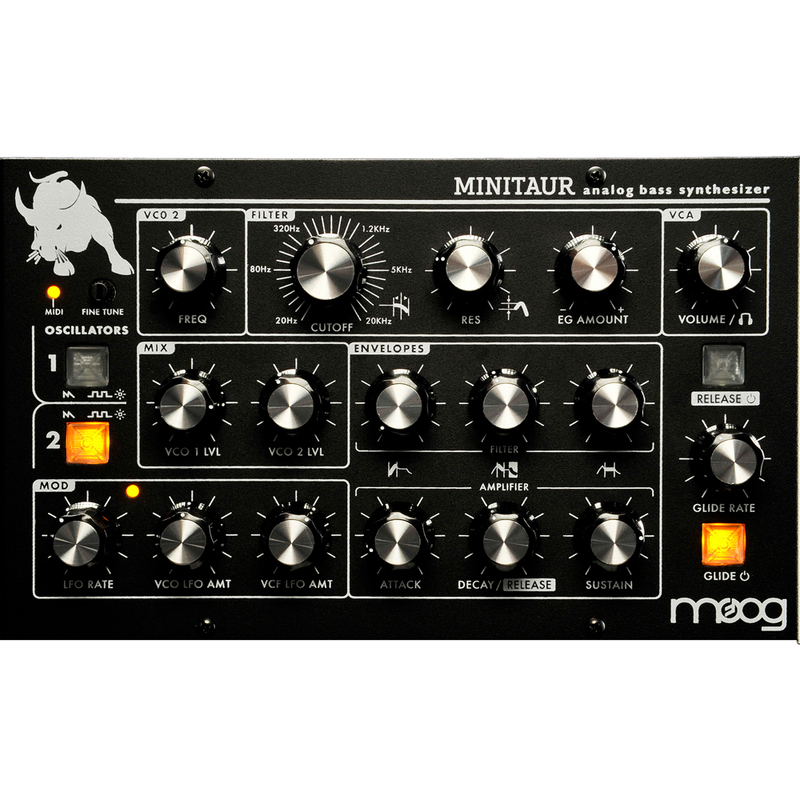 At only 8.5" x 5.25" and less than 3lbs, the Minitaur puts legendary analog Moog bass into a package designed to fit seamlessly into today's performance and production environments. There are no confusing or convoluted menus to dig through. 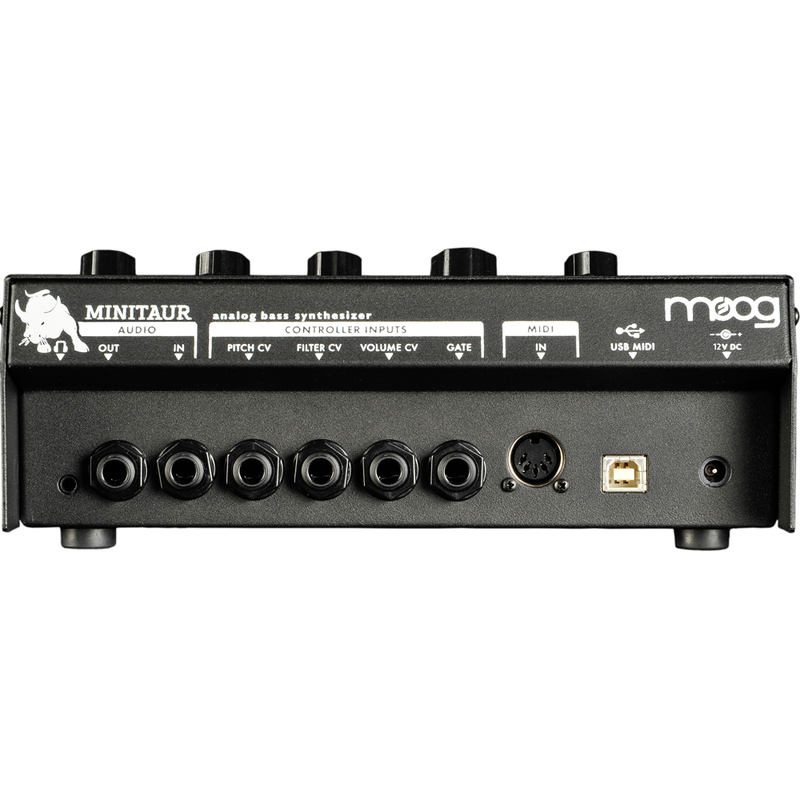 Plug in a MIDI controller or hook it up to your computer and start playing immediately. 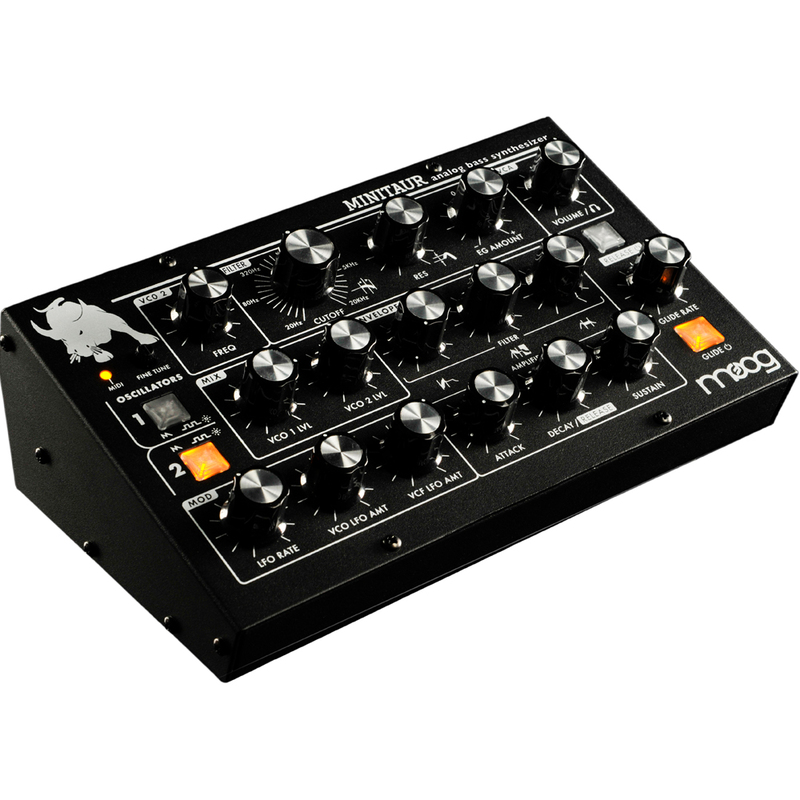 VCO2 Frequency - Sets the frequency offset of VCO2 from VCO1 from -1 Octave to +1 Octave. Center is unison with VCO1. Oscillator 1 & 2 Saw/Square Waveform Selector - Selects a Sawtooth wave (LED OFF) or Square wave (LED ON) Signal for VCO1 and 2. VCF Resonance - This sets the gain for the amount of signal from the output of the VCF fed back to the input of the VCF. This creates a peak in Frequency response at the Cutoff Frequency that can be increased all the way to self-oscillation. VCF EG Amount - Bi-polar control sets the (+) or (-) Amount of Envelope Generator modulation of the VCF. Center is no Envelope Generator modulation.